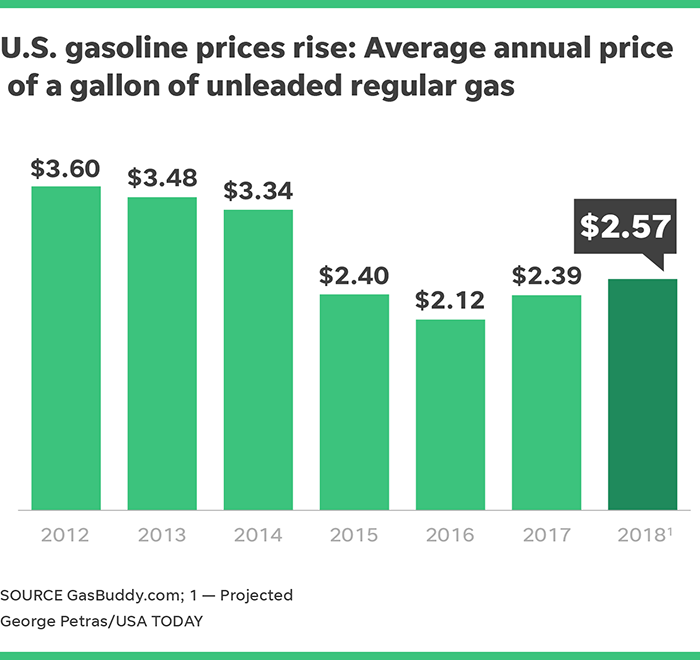 The price of a gallon of self-serve regular gas will average $2.57 nationally in 2018, according to a GasBuddy.com forecast provided to USA TODAY. That would mark an 18-cent jump from 2017’s average of $2.39 and a 45-cent jump from 2016’s decade low of $2.12. But it’s still far below 2012’s record of $3.60. 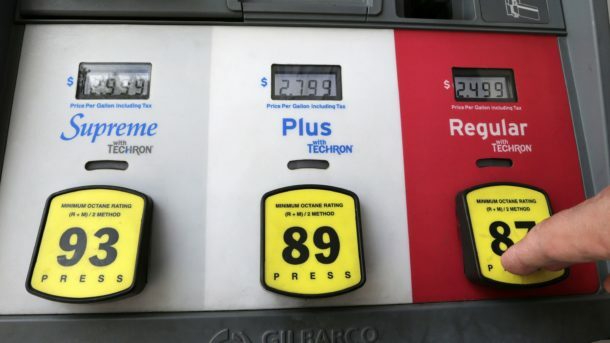 “I don’t think much of the country will see a return to $3, but there’s a possibility that some places” will top it, GasBuddy senior petroleum analyst Patrick DeHaan said. READ ALSO Trump should be able to close news outlets, Republicans say in poll. Americans can blame the Organization of the Petroleum Exporting Countries (OPEC) for much of the increase. OPEC’s November deal to extend production cuts first agreed upon in late 2016 has fueled momentum for oil prices. For a commodity that’s often affected more by fears of the future than assessments of the present, the Iran protests were enough to spawn conjecture about unforeseen volatility. “In the short-term the market is still vulnerable to more upside,” JBC Energy analysts said Tuesday in a research note. 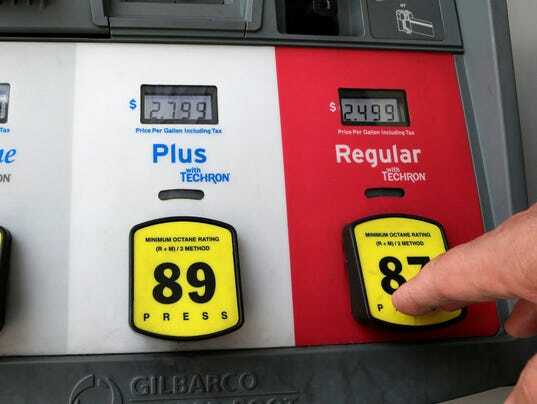 But don’t expect it to affect gas prices drastically, DeHaan said. Even if Iran oil production is limited, the country’s political rival, Saudi Arabia, and U.S. oil producers can likely make up the difference, limiting the spillover effects.